Imagination is brilliant isn’t it? … except when its not. I have a boy who has a wild imagination and whilst that is great for games and play it can be horrible for him at night-time when his imagination starts spinning tales of robbers and monsters. With him I have to be careful what stories are read at bedtime – anything slightly scary can cause him all sorts of problems to calm down and let himself sleep. And we all know kids books, even some of the stories we learn as very young children can be quite scary. Take ‘Little Red Riding Hood’ for instance – phew! That wolf is not someone you want to come across in your dreams. 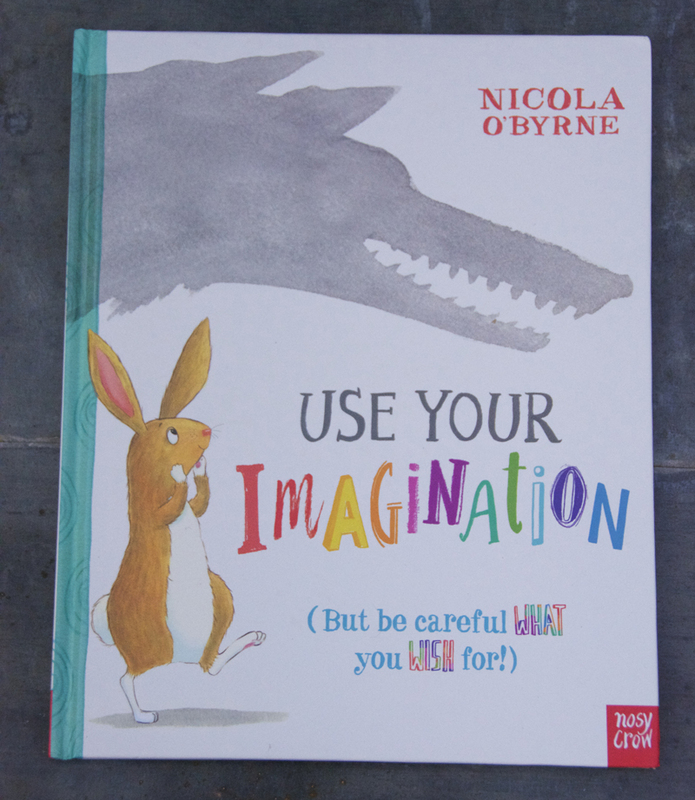 That’s why Nicola O’Byrne’s book, Use Your Imagination, is so great – a book that tells kids that it is THEIR imagination and they are in control of it. 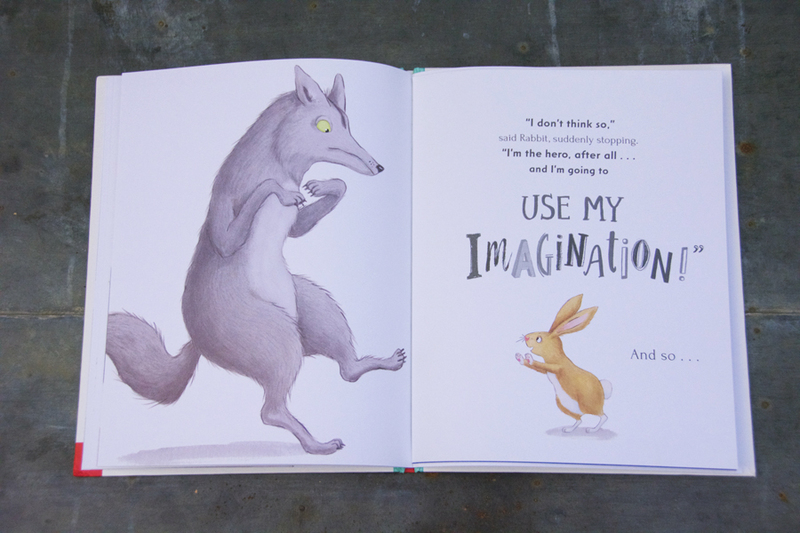 Rabbit is bored and Wolf wants to help – maybe they can write story together? 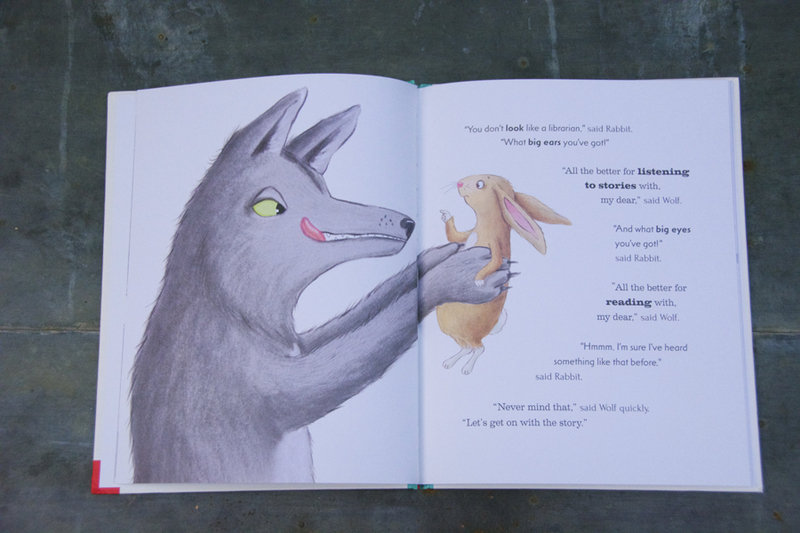 We can quickly see what sort of story Wolf would like to write – he tries his best to twist and turn Rabbit’s imagination into a story he’d like to eat hear but Rabbit is not so easily fooled – he realises that this story is up to him and he decides where it is going. 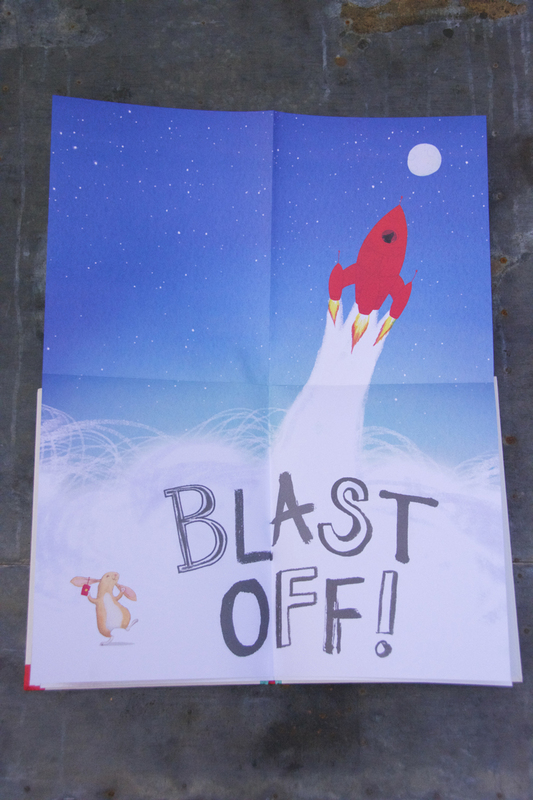 With wonderful pictures (that, with a simple white backdrop, also allow us to use our imaginations a little) and a fantastic lift-up crescendo to Rabbit’s tale (no pun intended). This is a book that will surely delight children and maybe empower kids to change the direction their imagination sometimes goes in. The book is available from Amazon (UK and US).